The tower is already inaccessible: Yumi and Aelita need to work fast to get to the edge of the Sector and get picked up by the Transporter to Sector 5… However, Hornets sent by XANA don’t let them through! Odd arrives at the factory while Ulrich is chased through the sewers. He lands on his Overboard just as a Hornet knocks Yumi off her vehicle with a well-aimed shot. 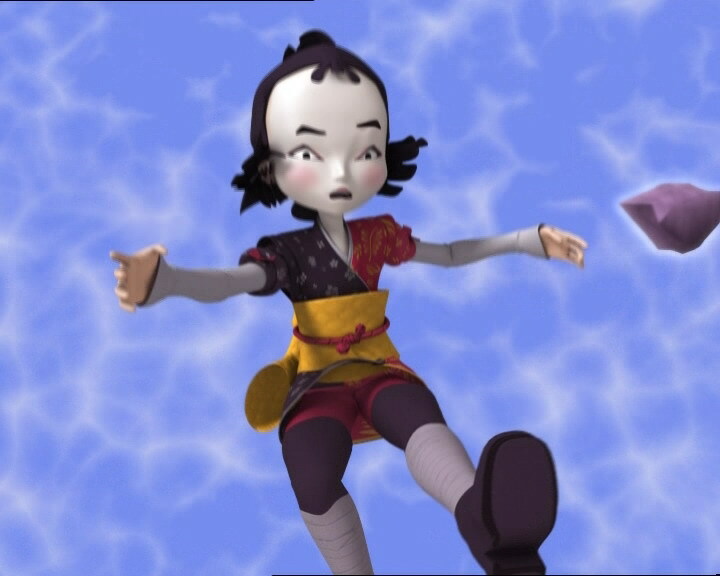 Aelita throws an energy field at her and devirtualises her, preventing her friend from falling into the Digital Sea. Odd destroys the remaining monsters and takes the Transporter with Aelita. They arrive quickly in the Celestial Dome after a quick key activation. 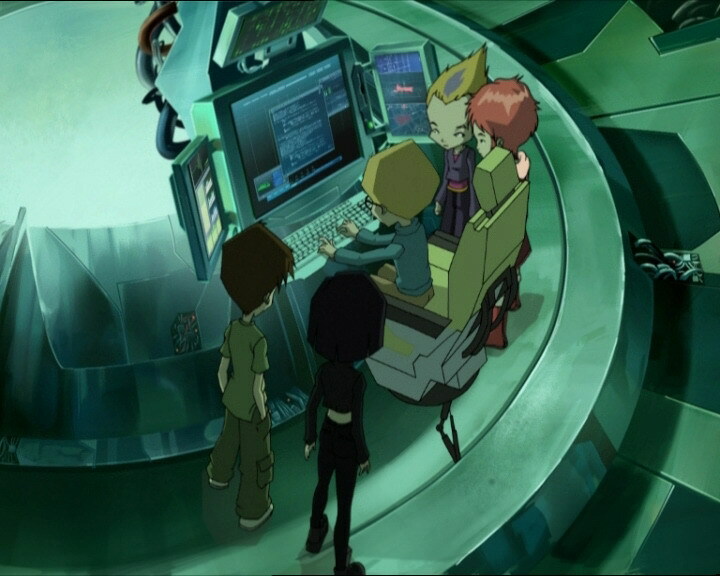 Aelita searches for data to debug the Digital Sea. Odd hurries to the Core Chamber and destroys the three Mantas attacking the shields after one of the short rodeos he likes so much. Aelita finds the data in question and sends them to Jeremy after killing a Creeper! 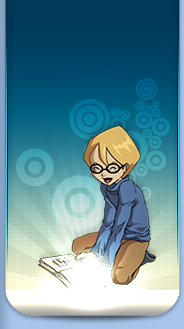 On Lyoko, the situation improves: the program works, the Digital Sea descends and the Sectors reappear again. 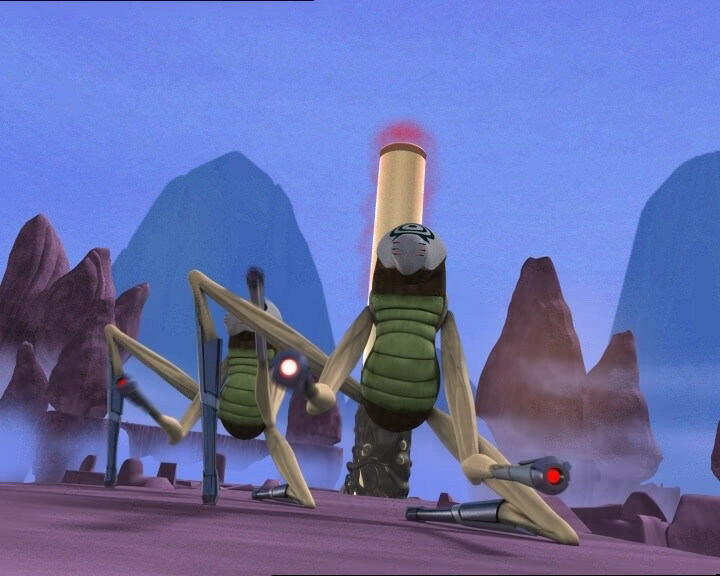 The two virtual warriors leave Sector 5 and make it to the tower. 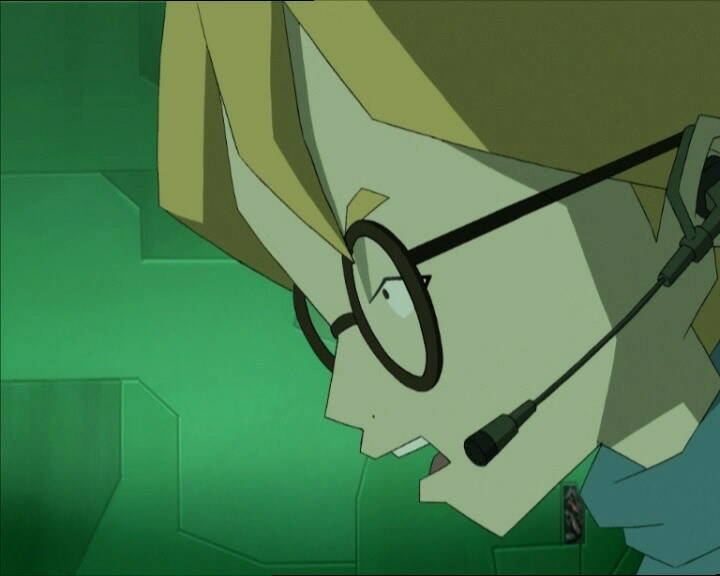 Odd sends Ulrich’s Overbike into the two Tarantulas to allow Aelita to enter the Code Lyoko! On Earth, Ulrich and Yumi pop up from the mountain of food. - Attack: Take control of all the food in the cafeteria to create a giant made out of food and track down the heroes. 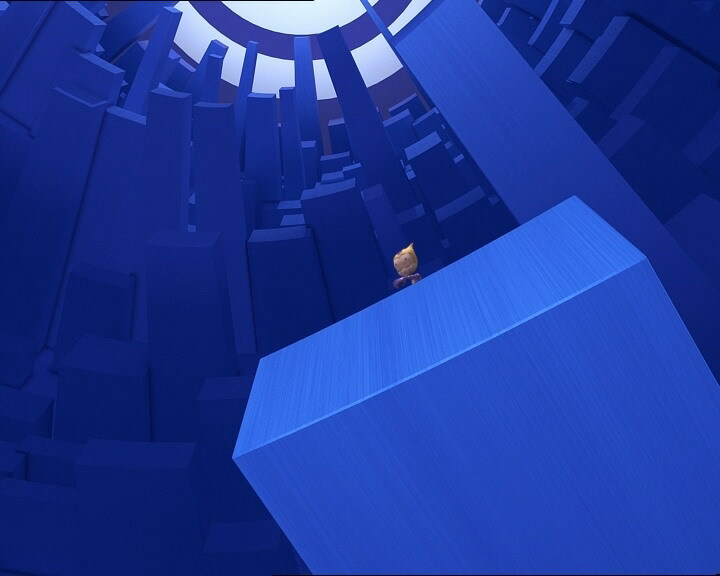 On Lyoko, raise the level of the Digital Sea to submerge the surface Sectors, cutting off access to the activated tower and the Transporter, and take advantage of this to destroy the Core of Lyoko. 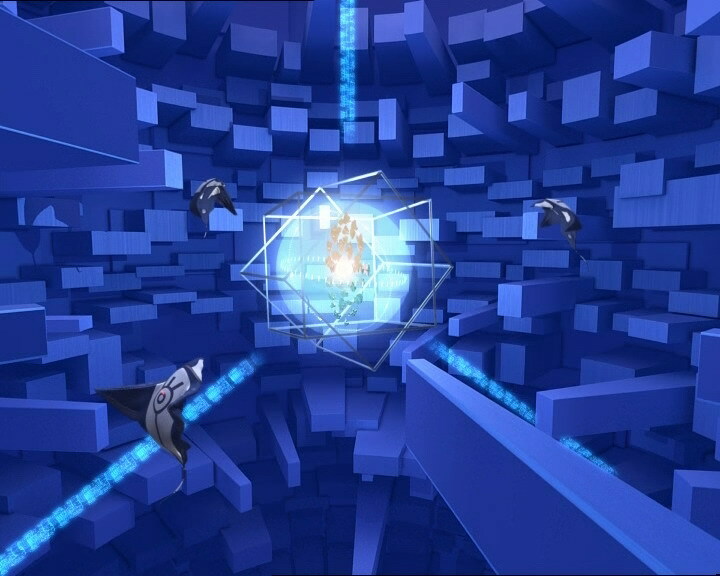 - The shields on the Core of Lyoko regenerate between attacks. 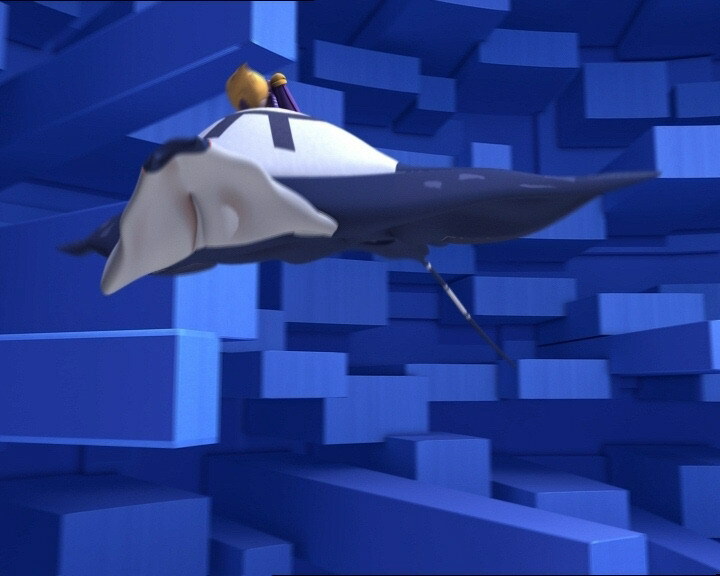 - First appearance of Odd on a vehicle other than the Overboard: the Overbike. - Second time Odd rides a Manta. - William makes more poetic advances on Yumi and finds that Italian makes him want to talk about love. - The manhole cover in the park is entirely brown instead of green-brown when Ulrich removes it. 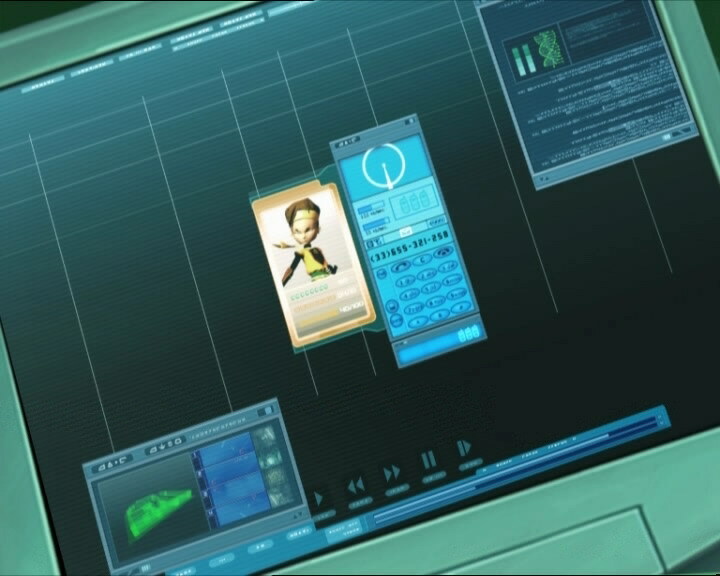 - The antenna on Odd’s phone is on the right instead of the left when he talks to Ulrich about the news concerning Lyoko. - During Mr Caggiat’s class, Emmanuel Maillard is behind William then he’s replaced by another student when William talks to Yumi. - After Yumi sees the giant food monster, the lift door is closed while that shouldn’t be the case. - Final appearance of Mr Caggiat. - First appearance of Krabes in the Mountain Sector. - First time Odd’s stomach grumbles on Lyoko. - Only episode in which we see Creepers being created. - In this episode, the key is activated without us seeing it happen, this is the first time. 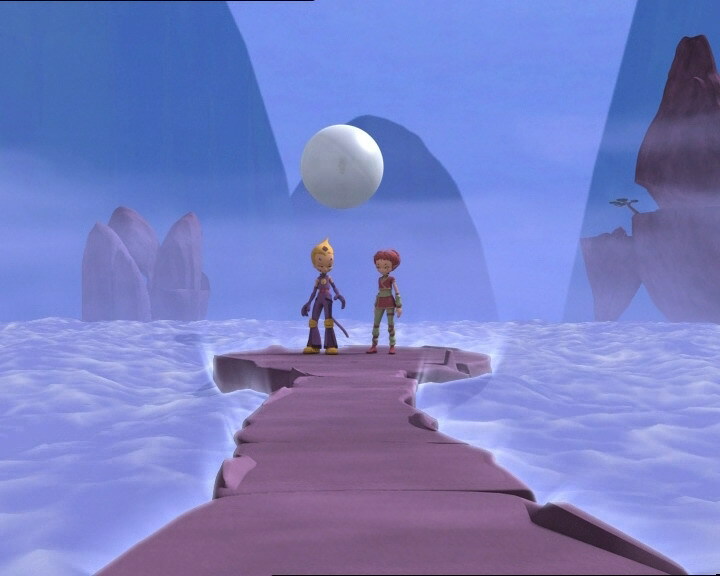 - First of two episodes along with 57 “Aelita” in which the episode title screen doesn’t picture a tower, but a Holomap with the Forest Sector absent after its destruction was in the previous episode, “Lyoko Minus One”. - In Italian class, the teacher comments on the photo of an ancient sculpture. It’s a Lupa Capitolina (Capitoline Wolf) from Roman mythology. It represents the wolf who raised and nurtures Romulus and Remus, the two brothers behind the mythical founding of Rome. Ulrich: Better forget about it, Odd. We can’t be late for gym. Odd: Huh? But we haven’t had breakfast yet! 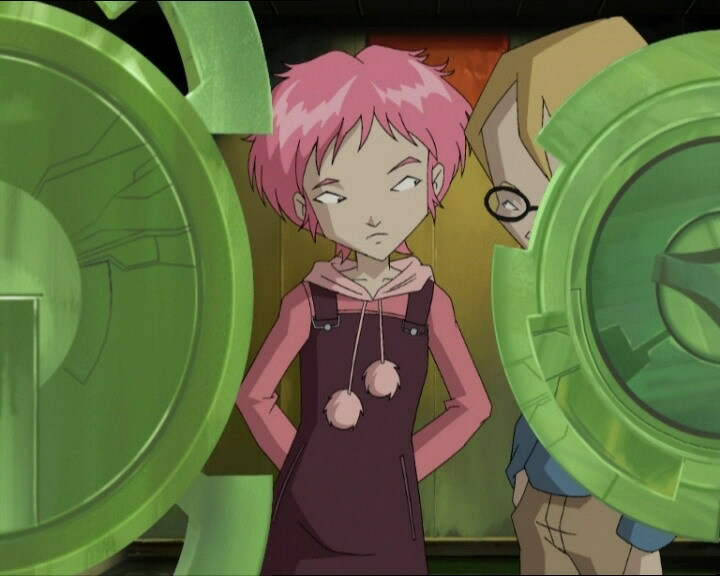 Aelita: Your stomach is almost as talkative as you are! Jim: Hey, I know you kids are going to be disappointed, but it looks like I’m gonna have to cancel today’s shotput competition. Ulrich, Odd, Jeremy and Aelita: Yeeeeah! Way to go! Jim: So for those of you who can’t wait until you wolf down your next junk food meal, had better think twice before you do! Because junk food is your worst enemy! Ulrich: Unless your name is Odd, his worst enemy is whoever gets between him and his food! Odd: What is she talking about anyway? If I eat mashed potatoes and lamb, there’s no reason to wait for dinner! I can have steak and fries for dessert! Ulrich: You’d better hope we don’t get a test on what she said, because you’d get a zero for sure, Odd! Jim: Don’t forget that a head of lettuce can save your life! And remember: the better you eat, the better you live! Look at me! Haha! I’m an example of what good food can do, I’m in perfect shape! Jim: Yow! I just pulled something! Yolanda, help! I can’t move! Odd (seeing the dishes): What? Grated carrots and cucumbers? Steamed vegetables, a-and fish?! Rosa: Not even fried or breaded…! 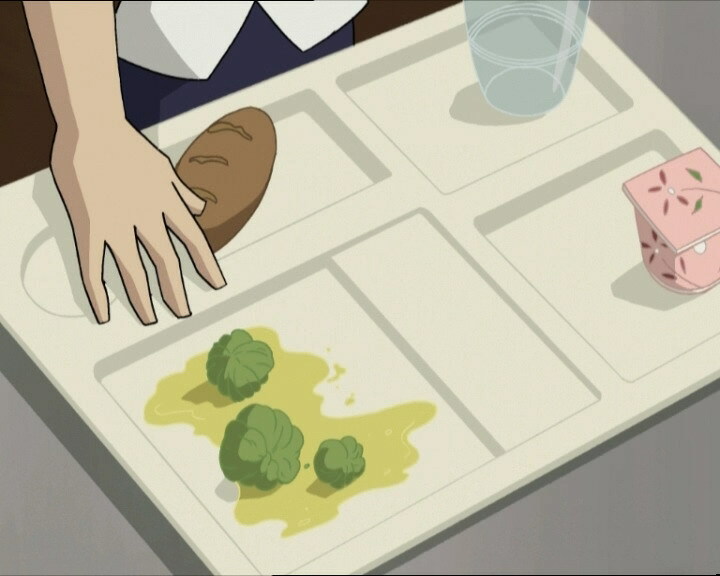 Ulrich: Great, I love broccoli! Odd: Say that again and you’re dead fish! William: Italian’s such a beautiful and romantic language, isn’t it? Mr Caggiat: Uh, what seems to be the trouble William? William: I guess uh, you wanted us to be alone, that’s why you said I was sick, huh? (Yumi doesn’t listen) Me too. Whenever I see you, I…I mean I, um…maybe I oughta tell you this in Italian…Yumi, Yu… (seeing she’s disappeared) Where’d she go? Odd: I can’t believe it! I’m going to be eaten by a mountain of food and I’m starving to death! Odd: Let’s just say we’ve got indigestion big time without having eaten anything! Odd: Want the latest news, Ulrich? Odd: SOS service here, what’s the trouble, sir? Jeremy: Odd, get into the scanner room, hurry! Where’s Ulrich? Odd: Oh, he’s got some game going on in the sewer. Odd: You can relax now, Princess! Your knight in shining armour is here! Jeremy: Ok Odd, play the hero later! 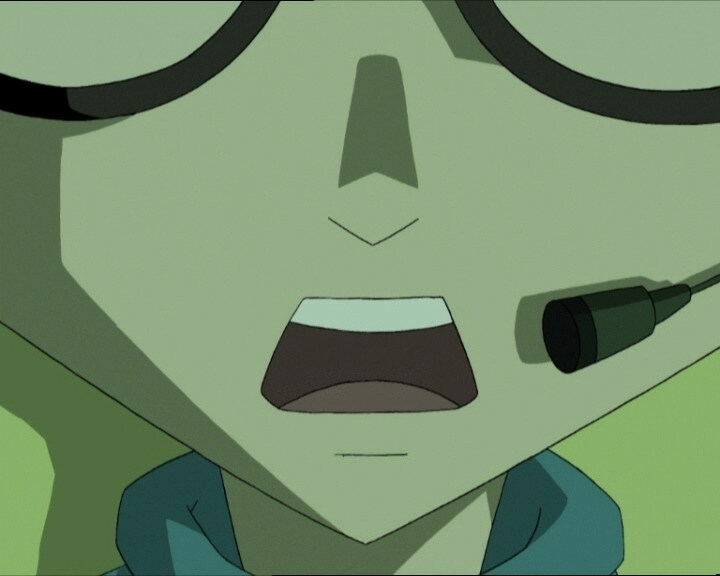 Yumi: By the way, Ulrich, thanks for saving my life! Ulrich: What wouldn’t I do for you? Yumi (seeing an apple fall): I-I think maybe you spoke too soon…! Ulrich: Not distracted too easily, is it?